Discussion in 'Registrars' started by wot, Nov 6, 2017. This is to inform that the registrar account of your current registrar – Mitsu Inc. has been terminated by National Internet Exchange of India(NIXI) which manages the .IN Registry. In view of the termination, your registrar will not be able to provide you any domain management services for .IN or .भारत (in all supported languages). You may contact your preferred new registrar on your own for transferring your domain(s) and follow the process as may be advised by the new registrar. Meanwhile to maintain continuity, .IN Registry is taking over the control of your domain names and if you require any changes to your existing contact details or Nameserver associated with your domain name, you are requested to send an email from your registrant email id, as reflecting in whois records to registrantsupport@registry.in. While moving to a new registrar, you are requested to contact .IN Registry to obtain your domain authorization or “AUTH CODE” – which will be required by the new registrar to initiate transfer of your domain(s). You are requested to complete the transfer process in the next 15 days from the date of this email. If not, .IN Registry will initiate its own process to transfer your domain to another registrar as may be determined by .IN Registry. Ram Babu and CyberKing like this. Honestly, this situation with Mitsu should be pinned for the time being at the top of "General Indian Domain Name Discussion". It's a pretty big deal... and for some reason, it's all a mystery and this came up one week ago. 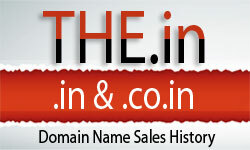 By the way, about the the General Indian Domain Name Discussion section of the forum.... there are 16 threads pinned. I think if they would be reviewed, many of them don't need to be pinned... or for some, they no longer need to be pinned as they are dated. Thanks, will review which threads are pinned. I tried to transfer 19 domains from Mitsu to resellerclub.Used authorization code of Mitsu and registry has approved it.Even the cost of registration domain (renewal) was deducted.But then registry sent emails that all of the request has been failed. The Order for Transfer alongwith 1 year Renewal of defence.in through was denied by NIXI Holding Account (R189-AFIN), the Current Registrar of this Domain Name since the current Owner of the Domain Name has some pending formalities with the Current Registrar. Please contact NIXI Holding Account (R189-AFIN), the Current Registrar of this Domain Name to find out why they denied this Request. You may contact the Customer above, if required. My understanding is that there are legal proceedings going on between Mitsu and the Registry, and that we should receive an update from the Registry soon. In the meantime, all transfers out will fail. To which registrar were you trying to transfer the domains to. My domain transfer also failed. How many domains do you have with Mitsu? No. I think that there's another court appearance later this month. Mitsu should approach court for allowing renewals until issue is resolved. I sold one domain on 28th Dec 17.
i was lucky that my domains was not locked. You misunderstood. I think my words were not clear. Not saying about the Theft protection system. I said that when i heard about the domain locking due to NIXI holding domains in Mitsu. Luckily my domains were not locked due to NIXI holding and I was able to transfer to another registrar INDYADOT.com easily.